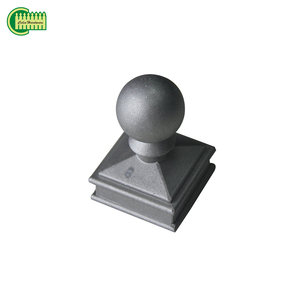 Farm Used Metal and Fence T Post is a kind of environmental friendly product, can be recovered after years. 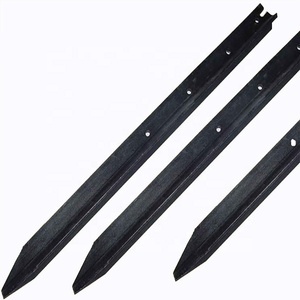 With nice appearance, easily installed, low cost, it is becoming a substitute product of the current common steel posts, concrete posts. 1. 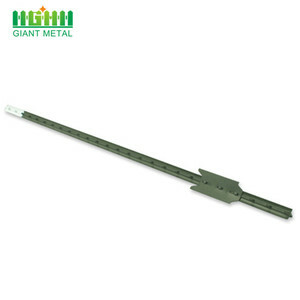 Specification: Measurement T type steel post length 5 5.5 6 6.5 7 8 SPECIFICATION PCS/MT PCS/MT PCS/MT PCS/MT PCS/MT PCS/MT 0.95 lb/feet 424 389 359 333 311 274 1.25 lb/feet 330 301 277 257 240 211 1.33 lb/feet 311 284 262 242 226 199 Packaging & Shipping Packaging Details: 200 pcs/ pallet; Delivery Detail: usually 12-15 days after yourd eposit. Anping County Xinhai Traffic Wire Mesh Manufacture Co., Ltd.
Quality inspection department work is to inspect quality each day in production workshop. We must ensure that every product to attain to the quality requirements of the customers. 2. 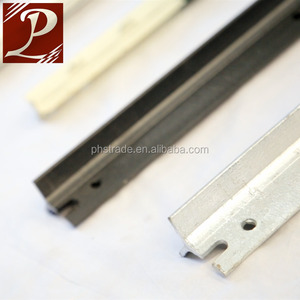 We can pass the third party to test the product quality, and ensure that the quality meet the customers' requirements. Qingdao Xinjiarui Industry Co., Ltd.
Our factory covers an area of 25.000 square meters and use German weld robot and Wagner powder coating line with automatic washing system. D: All of our equipments are imported from Germany and the process is automatic, to ensure the products quality and the price advantage. 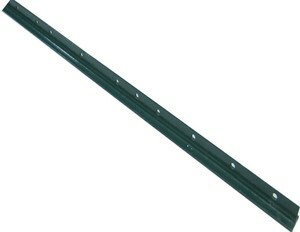 3:OEM Capability: All OEM orders are We use German imported weld robot and Wagner Powder coating line. 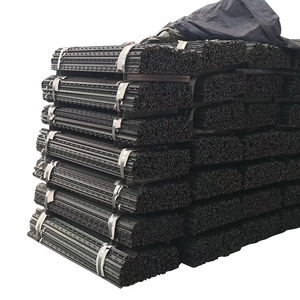 Tianjin Tiantai Guardrail Products Co., Ltd.
, Ltd located in Tangshan city&mdash;the largest scale manufacturing base of steel, with registered capital of 50 million RMB. The management has been engaged in steel industry for more than 20 years, full of experience for managing team and strong business relations with our valuable customers and factories. 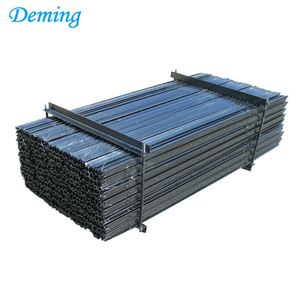 Packaging Standard seaworthy export packing, other types of packing can be customized as every requirement. 3) We can also make according to your own design pictures or drawing at your customized size. 3. After the worker finished the production, our QC will check the overall quality. 4. 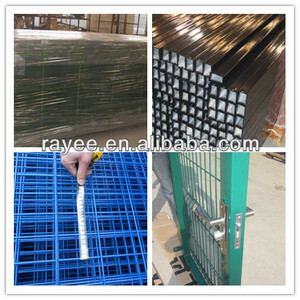 When packing the products, our Packing Department will check the products again. Hebei A.S.J Metal Net Co., Ltd.
All the questions will be replied in 24 hours. Installation technical guidance. 2 . Now our customer team growing bigger and bigger. 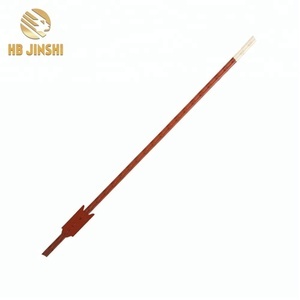 Sundown Lab (Qingdao) Co., Ltd.
Linqu Spark Metal Works Co., Ltd. 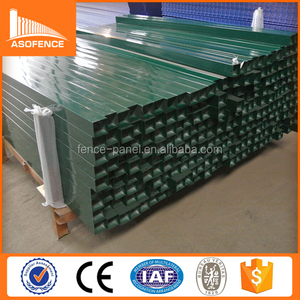 Fence post / used metal fence post / steel fence post prices Fence post for diferent size,competitive price; Accept custom-made products, You are welcome to contact for more information! The detailed processing technology 1. First cut the Aluminium post into the required length . 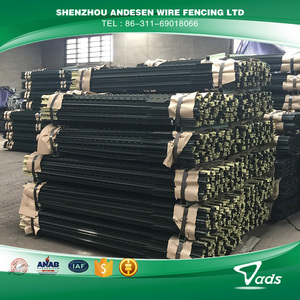 With these strong points, our competitive metal fencing has been enjoying great popularity in such overseas markets as America, Australia, New Zealand and other countries and regions. Q: Do I need to build a fence for my dog if I already have hedges around my house? A: Setting wooden positions within the ground gets a bad rap . It is in fact far and away the bestest way to construct a wooden fence if you chose to go the wood routing . If done appropriately , although it WILL decay since it is wood , it should last 15 to twenty years , and the united statesually people do n't is anticipated to 've got the same fence for twenty+ years . I 've built fences for around eight years , and each one of whom are still arrow-straight . For dogs like the ones you have , relying on their personalities you could use a ordinary 4 ' to six ' fence , but dogs can frequently jump that , so an 8 ' wooden privacy fence would be your very bestest betting . something along the lines of this http : //www.cumbriafencingltd.co.uk/New percent 2 ...   Just a short list of what you might need :   As far as wood goes , used cedar . You will be required 6x6x ( for an 8 ' fence twelve ' for a shorter fence 8 ' ) posts , 1x4 slats , and 2x4s for the railways and for gates . Some materials/tools/etc you will be required :   -Post hole diggers  -Shovel for adding DRY specific mixing )  -Wheel Barrel for specific mixing  -Digging bar with a tamper on one end and wedge iron on other  -Chain saw to cut excess length off of posts  -A circular saw for rail  -A few stakes and thereforeme bright nylon string for layout  -Upside down spray painted  -A measuring tape for marking  -A longer measuring tape for layout ( preferably the enormous kind with a handle )  -Plenty of pencils  -A good 4ft level  -A framing hammer  -10D and 8D nails ( Hot Dipped Galvanized ( HDG ) ring shank if accessible  - 4 or six Joist hangers for each post to hold secure the rail to the posts ( depending on how numerous rail you use )  -A SEMI flexible plastic rod is commemorating the arcs for the tops of the slats  -A coping saw to cut the slats matching the arc  -A drill/driver for installing gate hardware  -A broom/rake/flat shovel for cleaning   DO NOT mix the concrete , dried packing it and the united statese the dig bar to tamp it in place . ( wedge side first to mix in an up and down motion in the hole was later tamp it with the flat side till firm . There ought to be totally no movement in the post . ) Intermittantly shovel some of the dirt you took out in with concrete around the post , about equals parts , perhaps a liiiitttle little bit more specific than dirt . Q: What materials do I need to build a chain link fence? 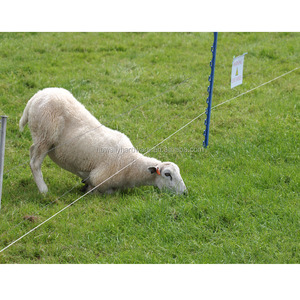 Q: Make a Removable Fence Post Hole? A: Sand might shift . I 'd plumb and brace the fence pole and later fill in between the post and specific with some liquids epoxy with a low viscosity and a high compressive strength . Some sort of metal shim might work also .